ill.Gates has been a die-hard Midi Fighter fan for years – both in the studio and in live DJing/finger drumming environments. In today’s tutorial video, ill shares five of his favorite tips for both the Midi Fighter Twister and the Midi Fighter 3D. 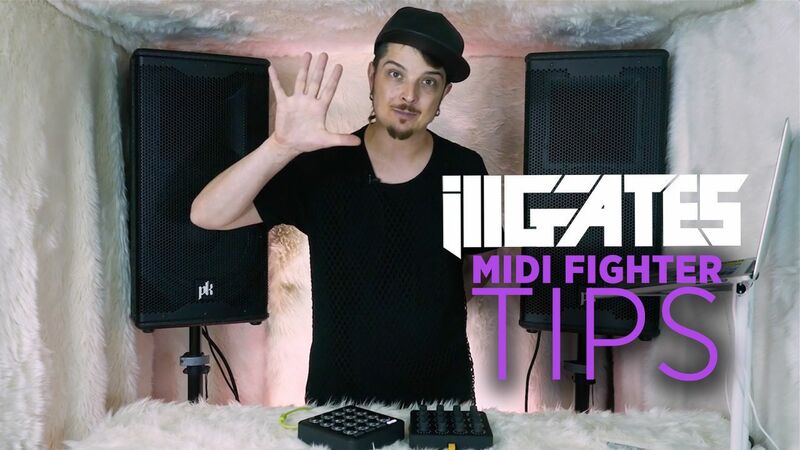 Watch the full thing inside; many of these tips are useful even if you don’t use Ableton or Midi Fighters! This one is pretty simple – but a powerful way to use a Twister. Simply MIDI-map the On/Off switch of an effect to an encoder’s push button. Then map the same encoder’s rotation to the FX parameters – so you have a push-down and twist effects box! Works well with: filters, beat repeats, distortion – almost any type of effect! One knob is used to select the effect in an effects chain, and the second modulates the effect. Drag two Audio Effects into an Audio Effect Rack in Ableton Live. Then, use the Chain selector button and make half of the chain into the first effect and the second half into the other. Map the Chain selector to the first Macro knob in the Effect Rack, and the audio effect controls (amount, frequency, etc) to the second Macro. You can do this with any number of effects, splitting up one knob into a mega-selector for the rest of your controls. This is useful for finger drumming routines, and keeping time during them. You can quickly make a visual metronome by sending MIDI from Ableton into any Midi Fighter. Make a looping MIDI clip every beat for the lights of your choice – it will flash in time with your Ableton project. When making a four-beat pattern, you can have the downbeat be a different color – so you always know when you’re back on the one. This tip allows you to quickly take a finished and mastered track and turn it into a live routine – ill.Gates compares this to what DMC-style DJs do. Dylan also uses this technique as a way to play the entire track through from the cue point – it can be a great fail-safe if anything goes wrong during a routine. You’ll use choke groups with a Drum Rack to differentiate – this one is a bit more complicated, so we recommend watching the video to get the full instructions (this tip starts around 11:45). This is a gate designed for “getting ill” – similar to a transform button on early DJ mixers. Now you have a knob that mutes the track completely – and one next to it that turns it back on. This makes it really easy to gate and get ill! Have questions about these techniques or some of your own to share? Speak up in the comments below! Midi Fighter Questions? Talk with our Live Chat team in the DJTT store to find out why we get nearly 100% positive feedback from DJs like you. 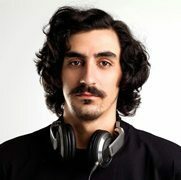 Why he’s helpful: Matias has used nearly every DJ software out there, has helped create tons of DJTT’s best mappings with over 25k downloads, is a DJTT product expert, teacher, and can answer pretty much any gear question you can think of. Think of him as the super helpful guy behind the counter at a record store with lots of great suggestions. He’s an amazing resource.